Solvang is a quiet little town, with an European reputation even though it is located in the heart of California. There are many small towns scattered all over California, but Solvang is much different than all other small towns. Danish and Dutch early settlers in California were determined to maintain their heritage in everything they did and most of all in everything they built. From shops and restaurants to office building have all been built in Danish style. Read along as we explore the best things to do in Solvang, California. Solvang is a small touristy village located in Santa Barbara County, located less than one hour drive from the city of Santa Barbara. Solvang’s main attraction is the town’s architecture as it gives you a taste of Europe in the heart of California. Surrounded by the beautiful rolling hills of Santa Inez Valley, Solvang is a gem for the tourist and the Los Angeles weekend traveler. 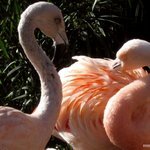 Come along with me and explore the best things to do in Solvang. You can easily walk through Solvang within two to three hours, depending how much time you spend visiting the many souvenir and antique shops. Tourism is the town’s largest revenue source, and the whole town is geared towards the weekend tourist. This becomes very obvious if you visit during the weekend. On Saturdays especially, Solvang is filled with people walking the small streets and browsing the many shops. It is a relaxing place to go visit especially on a sunny day which abound in California. It is best to allocate at least 5 or 6 hours in Solvang, to allow you to enjoy this beautiful village as there are many things to do in Solvang, especially for the first time visitor. Walk around Solvang. There are only a few main streets with lots of small shops. There are souvenir shops, candle shops, bakeries and lots of restaurants. Visit Solvang during special events. Several weekends out of the year, Solvang is host to classic car shows as well as the famous Solvang Christmas Parade. Try some Danish food. There are a few small restaurants with delicious food with European influence. Visit the small local museums. There are a couple of local museums that will give you a glimpse into Solvang’s European roots. Visit the old Santa Ines mission. Located right next to the main tourist parts of Solvang, Santa Ines Mission takes you back in time. 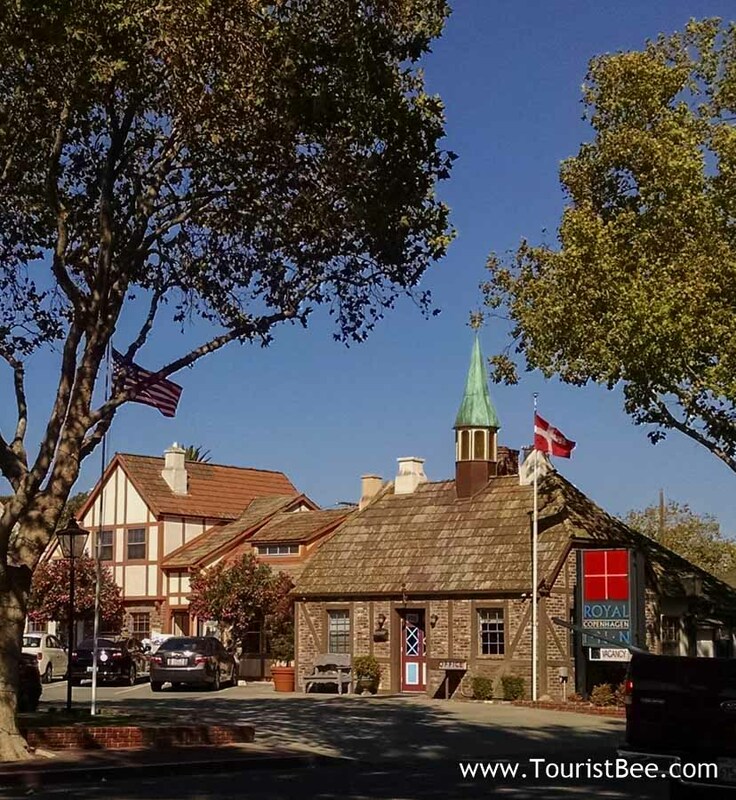 With our Solvang walking map in hand, let’s put on some comfortable shoes on, and come along with me as we explore the best things to do in Solvang. Like any small touristy towns, Solvang is best enjoyed by walking even though there are also horse driven carriages that can take you around town. Once you have parked your car you can pretty much follow the crowd and you will most likely end up on one of the main tourist streets. There are essentially two parallel streets (Copenhagen and Park) that run the length of the town and everything interesting to see is along these two streets and about ten cross streets. 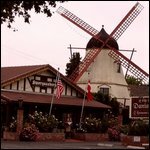 If you are planning a trip to this beautiful area you can book a room at my favorite hotel in Solvang. 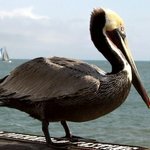 You can also search my list of hotels in the Santa Barbara wine country area or just look for best hotel prices in Solvang. Several European style restaurants give you a Scandinavian feel in the middle of California. Solvang Restaurant (1672 Copenhagen Street) is one of our favorite, as it is not expensive and provides a great setting for the different food choices. 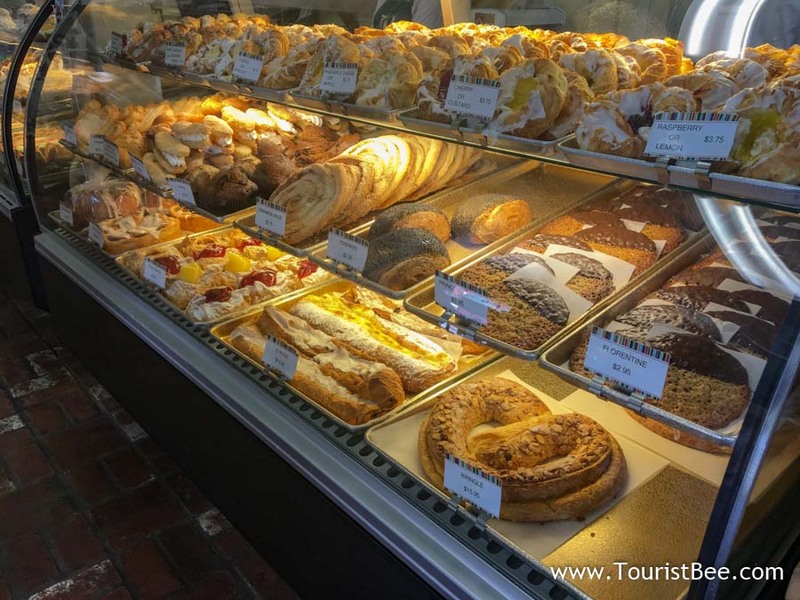 Our favorite places to eat in Solvang are the Solvang Restaurant, Paula’s Pancakes and Olsen’s Danish Village Bakery. Next on my list of best things to do in Solvang is to visit during special events. Solvang is host to many classic car shows as well as the famous Solvang Christmas Parade. See my photos from Solvang Usually scheduled for the second weekend in December, the Solvang Christmas Parade is a beautiful event, as the entire town is decorated for the holiday season. See my photos from Solvang Checkout the Solvang special events calendar for planning your visit during a special event weekend. Any list of best things to do in Solvang would not be complete without a visit to the old Santa Ines mission. If you’re not too tired after walking around you can just drive up the street a little distance and stop at the local Mission. The Santa Ines Mission is one of the oldest missions in California. The gardens are filled with flowers and trees and benches to rest after all the walking you’ve done in Solvang. 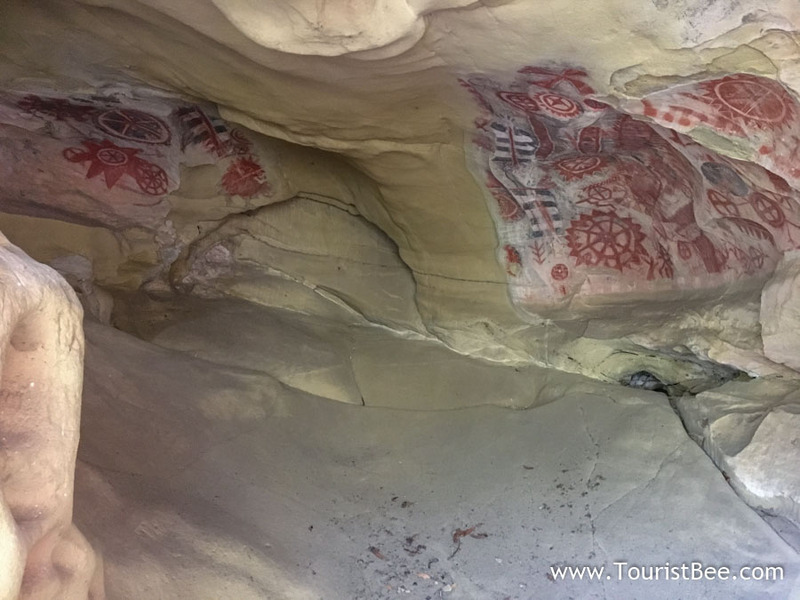 The Mission also has exhibits that outline the history of this area, from the Indian tribes that inhabited these hills to the coming of the Catholic Missionaries and the establishment of the mission. A small graveyard at the Santa Ines Mission. 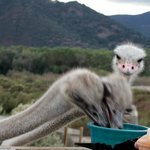 Is it worth visiting Solvang, California? Absolutely! Solvang is a delightful day trip from the Los Angeles area. With so many things to see and so many restaurants to try, Solvang is one of our favorite destinations in Southern California. The somewhat long car ride is well worth it and the picturesque landscape along the way will surely make the ride go by very fast. You can also combine your visit to Solvang with visiting Santa Barbara as part of your Los Angeles area tour. Book a room at my favorite hotel in Solvang or search my list of hotels in the Santa Barbara wine country area or just look for best hotel prices in Solvang. Book a beautiful wine tasting tour of the Santa Barbara and Santa Ynez Valley areas. See my photos from Solvang, CaliforniaDriving directions to Solvang, California. The easiest way to get to Solvang is by car via the 101 California Freeway or the 154 Highway if you’re coming from the Los Angeles area. If you’re coming from the north, the 101 Freeway will be your best bet.I personally prefer the 154 highway that goes over the mountains surrounding the city of Santa Barbara and it passes by Cachuma lake and reservoir and then it takes you through many beautiful rolling hills into the Santa Ynez valley where Solvang is. Signs pointing you to Solvang, abound both on the 101 Freeway and 154 Highway. The car ride lasts around two hours from the Los Angeles area and the very scenic vistas will make the drive appear short.